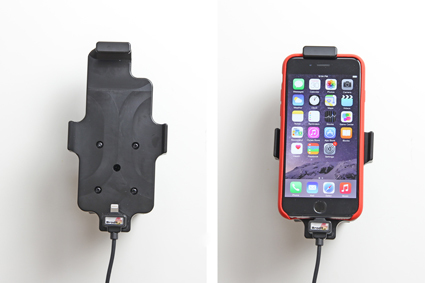 Use an active holder for your iPhone 6s on the road and you will always have a freshly charged battery! In addition, you will always have your iPhone 6s within easy sight and reach. Safe, comfortable and convenient! 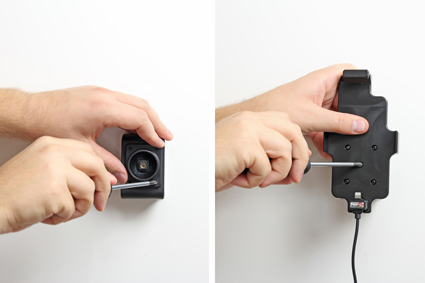 The active holder is to be connected inside the dashboard. It provides an elegant installation without any cables hanging over the interior. The holder has a neat and discreet design which blends well with the vehicle's interior. 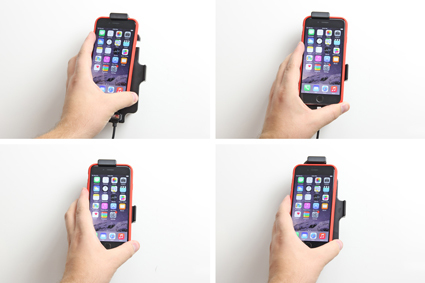 Your iPhone 6s is held securely in place in an upright position for maximum cellular reception. 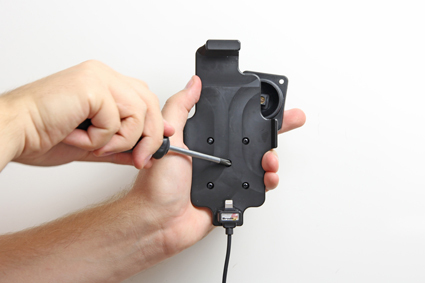 When you place the iPhone 6s in the holder, it automatically connects to the charging unit. 12 Volt. The product is E-approved. Connect the power cable with a 2 A fuse. Professional installation recommended. 1. Apple iPhone 6s For all countries.